At Vitality we see a direct connection between intelligent movement and personal well-being. Increasing our clients’ physical and mental agility and happiness motivates us to provide the very best contemporary Pilates training. We specialize in progressive equipment classes and personalized private lessons, all designed to meet your specific needs. Located across the street from the Mount Baker Park, our Mount Baker location is conveniently located between Leschi and Columbia City. Located in the heart of Phinney Ridge, just north of the zoo between Ballard and Greenlake. Located in the heart of Ravenna, across from Zeeks Pizza. There is ample parking available south of 65th. Adena’s love for movement is closely tied to a passion for music. While studying opera, she turned to Pilates to improve posture and body awareness. She was hooked by the precision and accessibility of Pilates. Adena completed instructor training with Body Arts and Science International in 2003 and has been teaching and learning ever since. She’s worked in a variety of settings, from coast to coast and joined the Teacher Training team in 2016. Adena’s clients describe her teaching as “masterful” and “challenging” and appreciate her ability to meet them where they are on any given day. Geneva Bender is made to teach movement. A native Seattleite, her introduction to exercise began with gymnastics and dance. Geneva studied many varieties of dance, from tap to lyrical to hip hop. Our very own Vera Bullen was her first ballet instructor. During high school Geneva was diagnosed with spondylolisthesis, sparking her interest in exercise science. 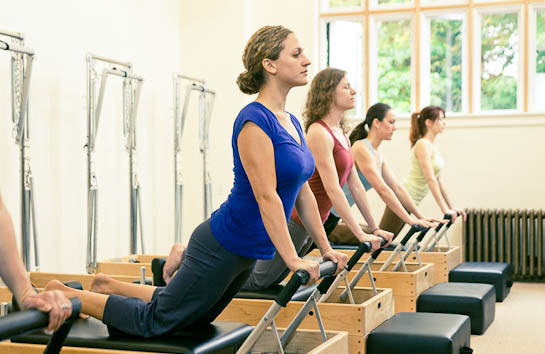 She began Pilates upon completing physical therapy and immediately loved it. Upon graduation, she earned her BS in Kinesiology from Western Washington University. During college she studied Pilates with Carolyn Watson at Core Kinetics through Balanced Body University. Geneva graduated from the Teacher Training Academy here at Vitality in 2013 and joined the instructor team. In addition to teaching here she’s an exercise and rehab specialist at Kinetic Sports Rehab. Melanie Blair has always enjoyed physical activity and now it has become her focus. Melanie earned her BA in Media Studies in Los Angeles before moving to Seattle over ten years ago. She came to pursue photography and eventually started a family, giving birth to twin boys in 2003. It was a difficult pregnancy; Melanie was bedridden for over three months and developed chronic back pain. Living just down the street from our Mount Baker location, she decided to give us a try. Melanie was quickly hooked by Pilates. With regular practice her pain was replaced with the desire to share this method of exercise. 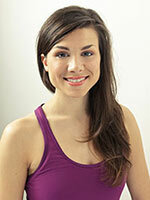 Melanie graduated from the Teacher Training Academy at Vitality in 2012 and has been teaching with us ever since. She loves creating challenging classes and working with clients to improve their health and well being. A lifelong runner, Andy Bond has always enjoyed movement. Still, he never considered trying Pilates until his physical therapist suggested it would help him rehabilitate a torn rotator cuff. In Pilates Andy found a workout that not only relieved pain, but also improved his quality of life. Originally from northern England, Andy initially completed instructor training with Polestar Pilates in London in 2008, and received a comprehensive equipment certificate from Vitality Pilates in 2013. He’s been teaching ever since in a variety of capacities, from being the sole Pilates instructor at a physical therapy clinic all the way to working with us here in Seattle at Vitality. Andy brings an easy going focus to his teaching which reflects the work of Ron Fletcher and emphasizes flexibility, length, and posture. He specializes in Pilates fitness and sports rehabilitation. Melissa Brown grew up dancing in the Seattle area. She moved to New York City shortly after college to pursue a professional dance career. Melissa spent many years performing and traveling the world in different tours and productions. Finding her way back to Seattle, she decided to get into Pilates. She fell in love with the benefits of Pilates and the rest you could say is history. Melissa went through the Teacher Training Academy right here at Vitality, completing her comprehensive training in September 2015. She is happy to continue being a part of Vitality as an instructor. You can find her teaching Pilates and dance classes around the Seattle area. 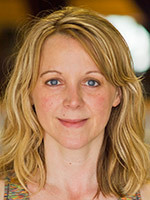 Vera Bullen has taught at Vitality since 2010. 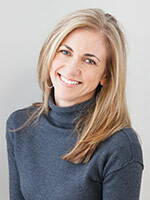 Her lifelong passion for movement richly informs her Pilates instruction. A dancer since childhood, Vera earned her BA in Dance and Drama from the University of Washington. She earned her MA in Dance Studies from Laban in London. Afterwards, she earned her MA in Creative and Performing Arts from the University of Auckland in New Zealand where she was hired as a Professor of Dance. After teaching three years, she returned to the state of Washington, teaching ballet to children a total of 13 years. In 2010, she graduated from the Teacher Training Academy at Vitality and has been an in-demand Instructor ever since. Vera is a regular presenter at the International Association of Dance Medicine and Science and the Performing Arts Medicine Association symposiums, as well as an Instructor Trainer here at Vitality. 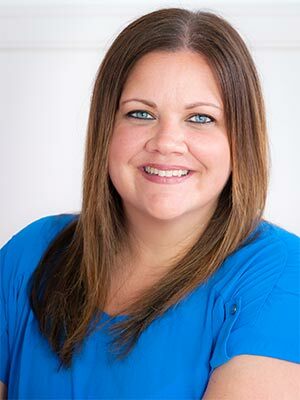 Born and raised in the suburbs west of Chicago, Nicole Chilson’s lifelong fascination with health first drew her to Pilates. When she noticed chronic tensions dissipating, her flexibility increasing, and her body becoming more toned, she was hooked. In 2008 Nicole graduated from the Teacher Training Academy at Vitality and has been teaching ever since. Nicole focuses on helping others build core strength, increase body awareness, and find effective alignment. She is adept at suggesting modifications and anticipating her student’s needs. Nicole holds her BA in English Literature from Concordia University in Irvine. Now a resident of Olympic Hills, you may find Nicole strolling around the neighborhood with her dogs, Scout and Molly. Jenny is from the midwest originally but has called Seattle home for 15 years. 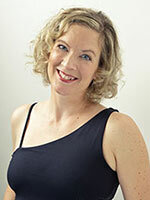 She graduated from Brian Utting School of Massage in 2008 and the Vitality Pilates teacher training program in 2013. 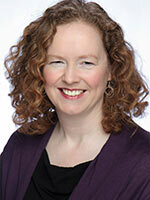 She is a Licensed Massage Therapist and has her office within the Mount Baker Vitality Pilates. The Pilates Method has been a way for Jenny to deepen her knowledge of movement potential and anatomical precision. Her classes are designed for honing mental awareness, freeing somatic limitations, and creating new health and optimism. From her personal experience, The Pilates Method tones her body without the stress on joints and ligaments. She knows that people can achieve total fitness without pushing their bodies to levels of great discomfort, and she is excited to mix challenge with fun in the sessions she teaches. Born and raised in Seattle, Mari LaRocca has been a dancer almost her entire life. She grew up practicing ballet and originally tried Pilates in order to condition her body for dance. Mari earned her BFA in Ballet and Modern Dance at the Texas Christian University. Upon returning to Seattle, Mari enrolled in Vitality's Teacher Training Academy. She completed her training in 2008 and has been with us ever since. Through teaching, Mari has discovered how much joy she experiences in sharing the many benefits of movement. She often incorporates imagery in her sessions, using it to help clients deepen the connection between their bodies and minds. Outside of the studio, Mari enjoys cooking and spending plenty of time with her husband and dog. Jenny Melville was born and raised in Mentor, Ohio. She started dance at the age of three taking tap, ballet and jazz. Jenny attended Arizona State University as a Dance Choreography Major and was introduced to Pilates in 2000. She taught dance and movement classes to a variety of age groups ranging from three to eighty years old; she even taught a student who was blind how to tap dance! Upon graduation, Jenny pursued a Masters in Arts, Entertainment and Media Management at Columbia College Chicago. After completing school Jenny moved to Washington and found us, training as an instructor in 2012. She loves the mind body connection and intricate workout that Pilates provides. Jenny lives in West Seattle. She enjoys baking, taking dance classes, camping, and making people laugh. Autumn Needles PMA-CPT® began dancing and practicing yoga as a child. She first encountered Pilates as a young dancer at Smith College. She began her teaching career in 2006 with yoga, but added Pilates mat classes in 2009. She taught mat classes for two years before deciding to get her comprehensive certification from Vitality’s Teacher Training Academy in 2011, and in early 2012 joined Vitality’s teaching team. Autumn particularly loves working with people who come to Pilates due to struggles with injuries or chronic and limiting health conditions with the hope of finding functional strength, balance, and health in their everyday lives as they age. With that goal she completed a two-year training with Nutritious Movement™ to teach Restorative Exercise based on alignment principles in 2016 and in 2018 became a Buff Bones® licensed instructor. Growing up on a lake, Nicole Pieratt spent a lot of time being active outdoors; she’s always loved to work out and challenge her body. Still, it took surviving breast cancer to shift her exercise focus away from working her body hard to working her body well. Pilates spoke directly to this shift. Nicole practiced mat work for a full decade and equipment work for a full year before enrolling in our Teacher Training Academy. Nicole graduated from our Teacher Training Academy in 2013 and has been teaching ever since. In class Nicole focuses on developing the connection between body and mind. She appreciates the wide range of applications Pilates has for people from all walks of life. Nicole aims to keep our bodies healthy and efficient, enabling us to enjoy the activities we love for years to come. Melissa Smilow began dancing as a young child. At age 20 she moved from San Diego to NYC to attend the American Musical and Dramatic Academy. 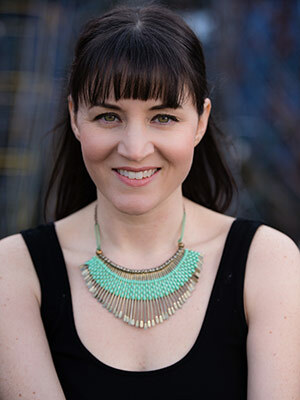 She stayed busy there, earning her BFA in Musical Theatre from the New School University, teaching various fitness classes, and working in dance and theatre productions. After six years, Melissa returned to the west coast, performing in many theatrical productions throughout California. She discovered the mat Pilates repertoire during this time. 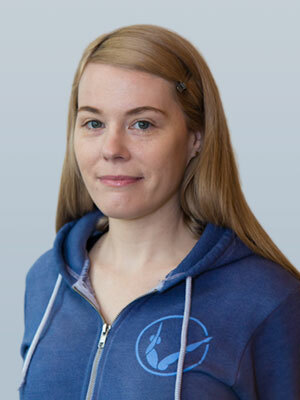 After moving to Seattle in 2011, Melissa was introduced to equipment based Pilates here at Vitality. She graduated from the Teacher Training Academy in 2012. In addition to teaching Pilates, Melissa is also a certified Nutritional Therapy Practitioner at Wellness Revolution Studio. She believes that Pilates and balanced nutrition are essential for good health and happiness! After two decades in the food industry, Kimberly Zmolek needed to revitalize herself physically, mentally, and creatively. Enticed by the aerial arts as well as Pilates, she decided to pursue both. The result was exactly what she needed. Kimberly found beauty and inspiration at the Versatile Arts Aerial school, working on the trapeze, silks, ropes, and sling. Here at Vitality Pilates, Kimberly found a focused, controlled, and balanced way to condition her body. The decision to train as a Pilates instructor emerged naturally from directly experiencing the benefits of the method. Kimberly graduated from the Teacher Training Academy in 2013 and has been teaching ever since. She delivers energetic, challenging classes with a focus on form. Kimberly’s passion for movement is contagious.